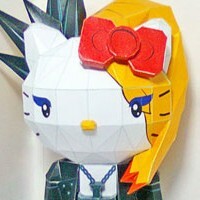 Yoshikitty doll is a cartoon character created by Sanrio for Japanese legendary drummer, the drummer Yoshiki of X-japan. This papercraft created by Ongo Arts. He specially made this papercraft for his friend's girlfriend birthday present and for expressing his love. 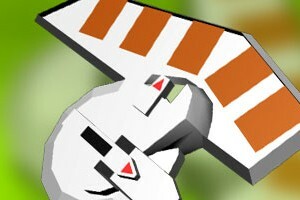 The instructions are extremely detail (50 pictures) for a relatively simple papercraft, you can download the instructions separately. This is the best anime when I was a child. 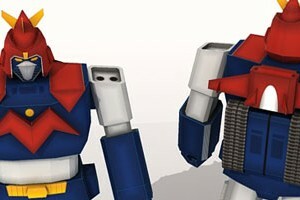 Although it was first aired on 1977 in Japan television I watched this anime in our betamax video player in mid 1980s. My mom used to play this anime before I went to elementary school. The theme song brings back a lot of childhood fun memories. These days it supposed to be my historic moment, I have finished my scout trooper armor. The Japan tsunami made me "not feel good" to celebrate it now. My deepest sympathy to the people on Sendai disaster, their relatives, my friends in Japan, I pray for you. Pato is a friend of pocoyo, he is an orange duck. Pato is a spanish word for duck. 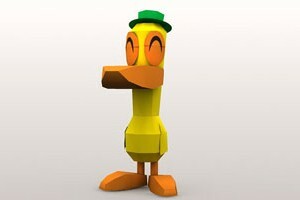 Pato has long and big beak that able to rotates 360 degree. He is the most stylish when it comes to dance session in Pocoyo series. He is quite a temperamental character, he jumped around when he is angry. I made this papercraft the same scale as the existing pocoyo papercraft. Doraemon is my most favorite anime and manga. The story is always drive my imagination and curiosity. I think the story is simple yet genius, makes you curious and I think the author is no doubt a free thinker, open minded and brave enough to imagine beyond believe. 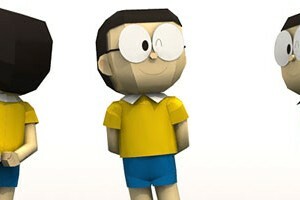 This is Nobita the first release of Doraemon papercraft series and also first in Paper Replika new category which is Anime - Cartoon.